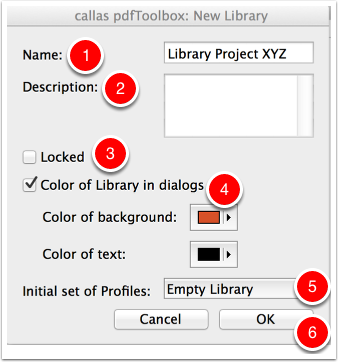 In pdfToolbox 8.1 callas introduced the possibility to work with libraries. 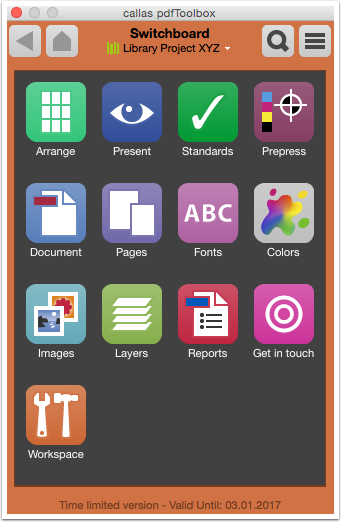 With this feature you can create an environment for different types of jobs or companies. 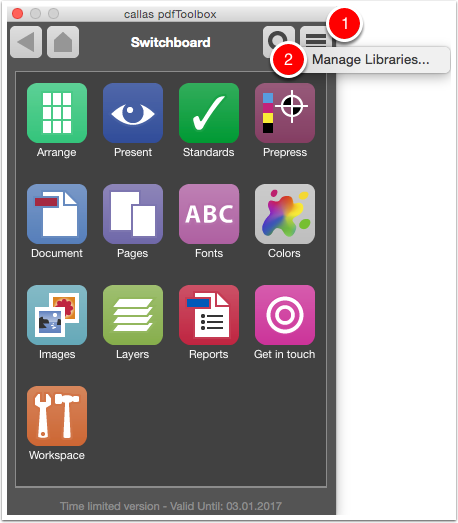 In pdfaPilot libraries you can organise a set of Profiles, Checks, Fixups and Switchboard Actions. 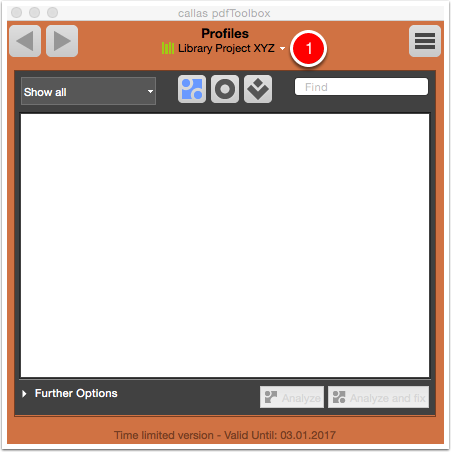 In the Libraries list the default "callas pdfaPilot Default" library is shown. 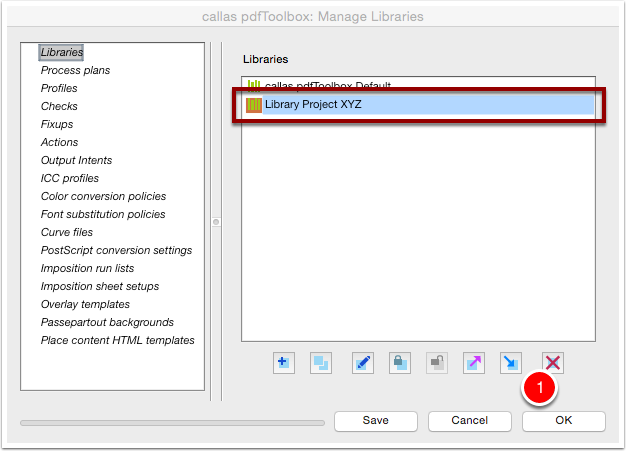 Click under the name Switchboard on "callas pdfaPilot Default". 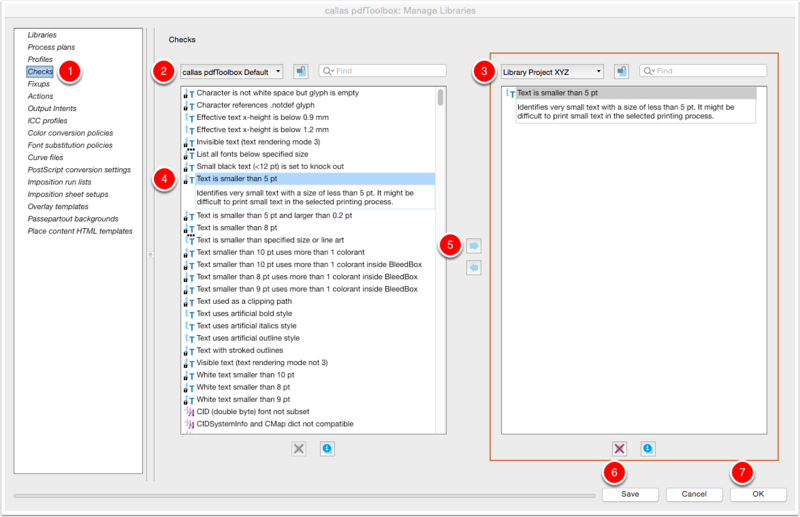 Profiles: pdfaPilot Profiles that combined Checks and Fixups to apply on a PDF file. 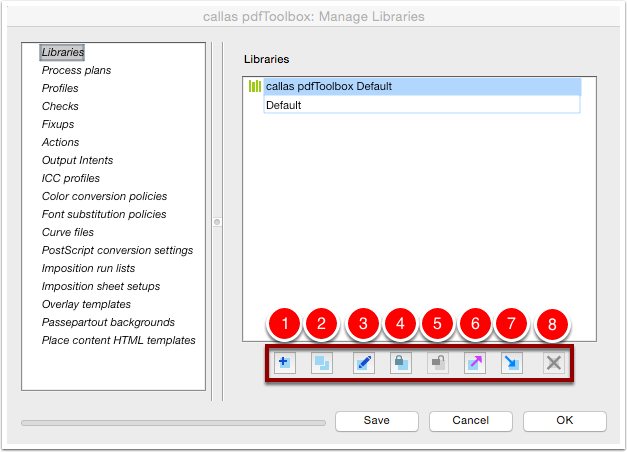 For example to convert a PDF to the PDF/X-4 standard. 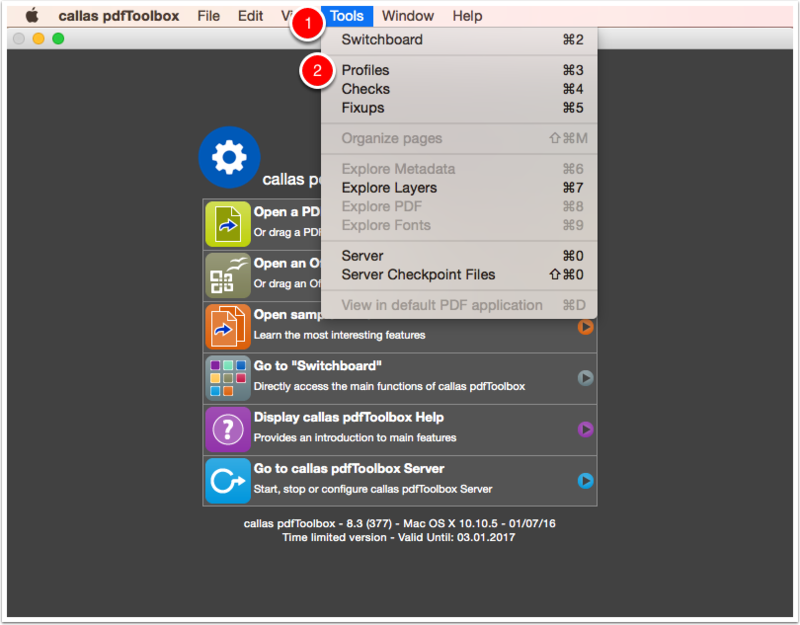 Checks: pdfaPilot Checks that investigate a PDF file according to some criteria. 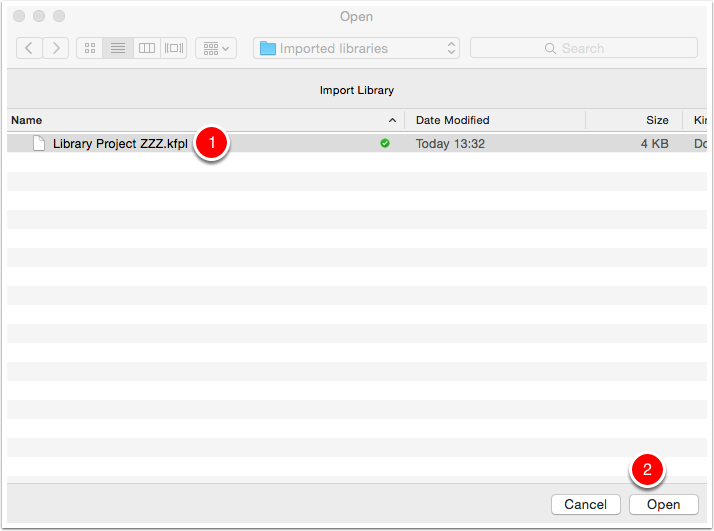 For example the thickness of text. 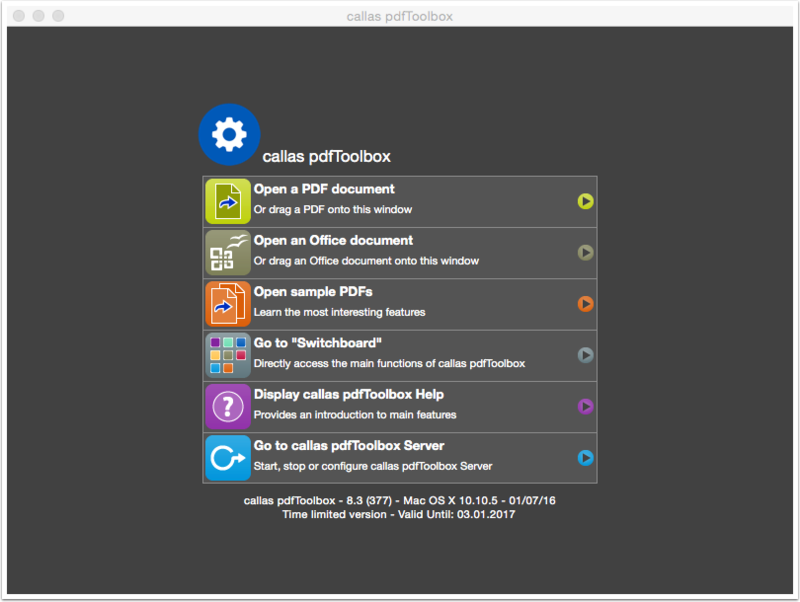 Fixups: pdfaPilot Fixups that fixed a PDF file. For example converting all the text into outlines. 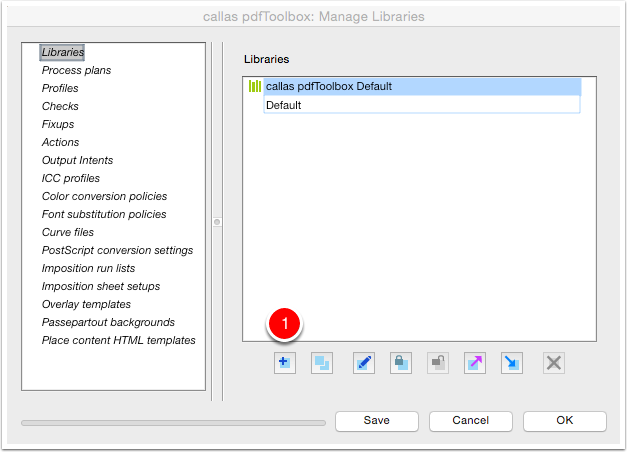 Actions: pdfaPilot Actions apply an action on a PDF file. 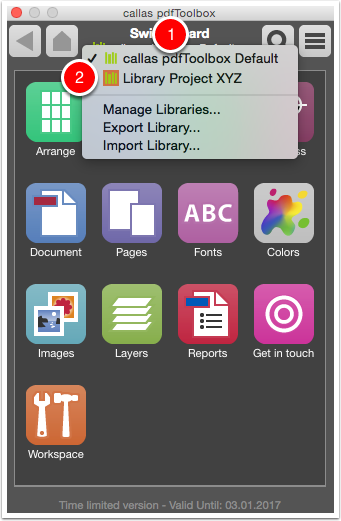 For example creating an imposed PDF file. 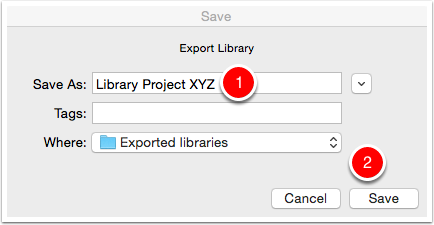 Now we want to investigate the created library "Library Project XYZ". The new library was constructed as an empty library. 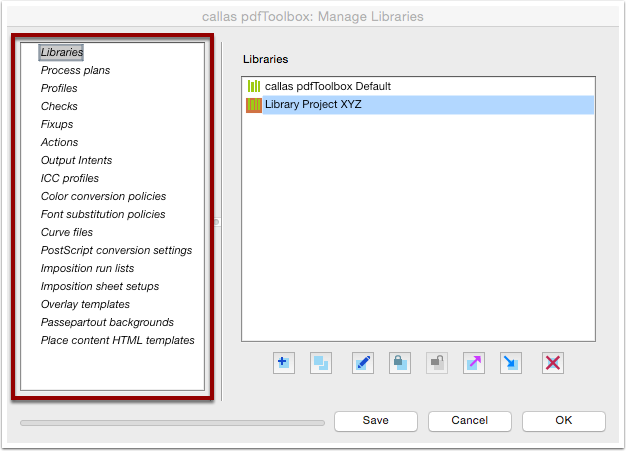 You can derive Process Plans, Profiles, Checks, Fixups and Actions from the callas pdfaPilot standard library (or another library if available). 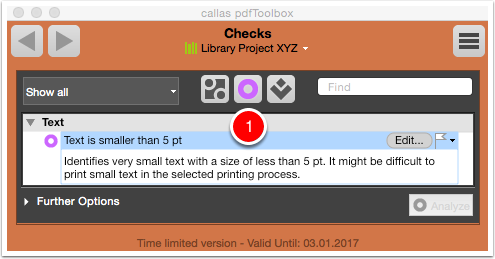 In this example we add the predefined Check "Text is smaller than 5 pt" from the callas pdfaPilot Default library. 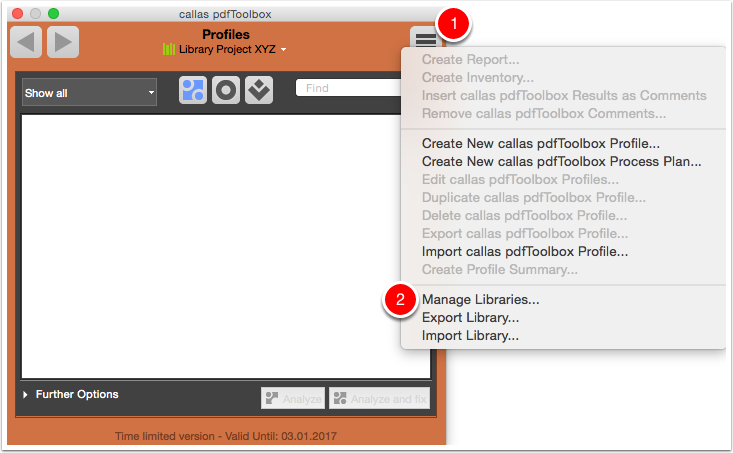 In the dropdown list select "callas pdfaPilot Default".